Are you still looking for the perfect gift for the person who has it all? Do you need one last special stocking stuffer for Christmas morning? Is the blandness of gift options out there getting you down? Have no fear, Handmade is here! The Boston Handmade Holiday Gallery is open today through Christmas Eve, 11am to 7pm, and this afternoon we'll be having a special Handmade Celebration with yummy treats (lovingly made by our gallery exhibitors), take-home DIY projects (courtesy of our friends at Etsy.com) and a chance to win the 2012 Handmade Collection. The party is from 3-7pm at the gallery located at 554 Washington Street, Canton, MA 02021. 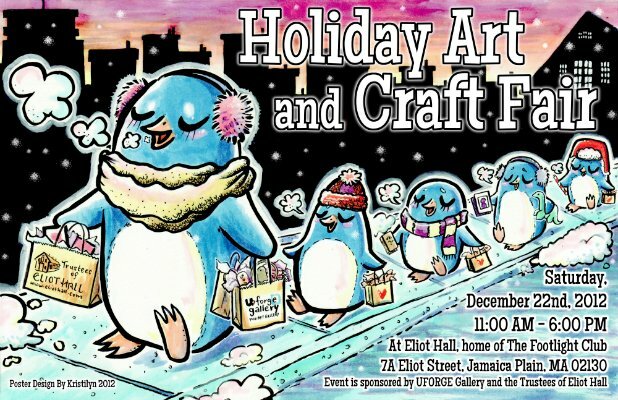 UFORGE Gallery and the Trustees of Eliot Hall, home of the Footlight Club are cohosting a Holiday Fine Art and Craft Fair today from 11am to 6pm. The event will feature more than 30 exhibitors selling handmade work including photography, jewelry, pottery, stationary, clothing, soap and specialty bakery products. 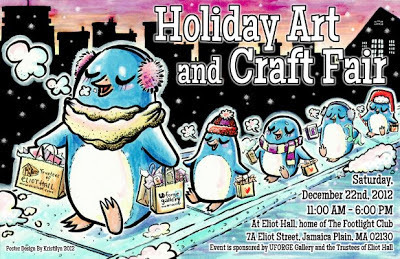 Check out this special neighborhood event at Eliot Hall, 7A Eliot Street, Jamaica Plain, MA 02130. Western Avenue Studios is home to more than 200 working artists, many of whom have open studios hours this weekend. Visit the converted mill complex and you will find two buildings, six floors and 143 studios filled with artists working in all disciplines, media and styles. 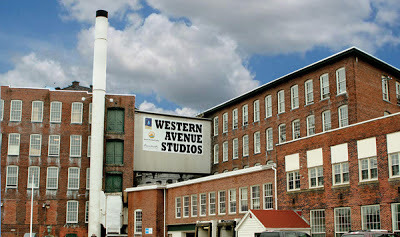 The studios are located in a brick mill building at 122 Western Avenue in Lowell, Massachusetts, near the heart of downtown. 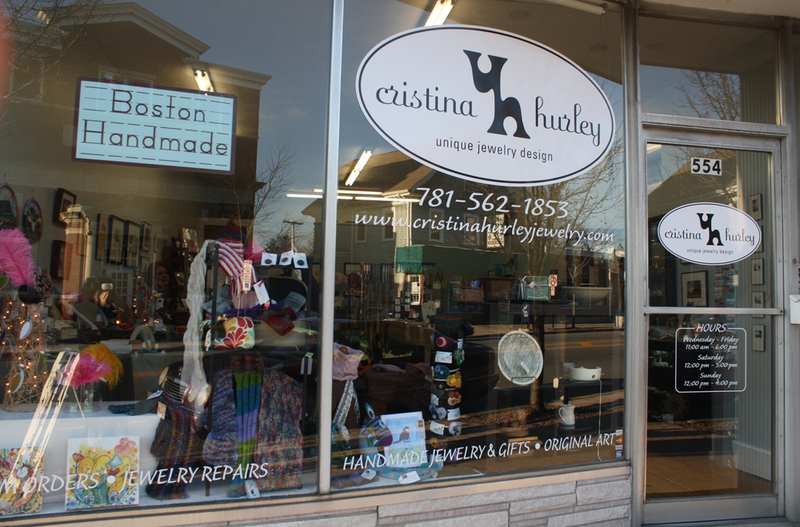 Be sure to check out some of Boston Handmade's favorites: Lush Beads, Made In Lowell, Toil and Trouble, Heather Wang, and The Intuitive Garden. Are you showing and selling your handmade work this weekend? Please add your event or studio information in the comments section and let's all help make this the season of handmade!